Amazing deck my friend, probably the best Xira Arien list I've seen for combo. I was about to build a Xira Arien deck around the Worldgorger Dragon combo and saw your list. There are probably better generals for the combo but it's great how you chose Xira and took it to the maximum level. Unfortunately I don't have all of these cards in paper so I'll have to run a budget version or choose another general (Probably Grenzo) About the combo: I see you chose Flamekin Spitfire to kill your opponents and creatures. Take in consideration that in case there is something like Glacial Chasm in the board using a Bloodrite Invoker could be a better choise. Avatar, at least the other day, was almost never coming in with extra counters. I think that if I want to keep him, I'm going to have to switch the whole deck over to something that concentrates more on overrunning with counters. 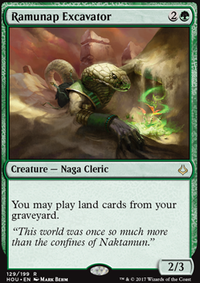 In addition, while the mimic/animation combo is cool in standard, it is pretty rough in modern to get running at full speed so I was thinking of ways to speed the deck up. With the combo and duskwatch I can dig for a ballista to win that turn, allowing me to possibly win on turn 3 which seems a lot stronger than before, particularly in the race against humans and elves. 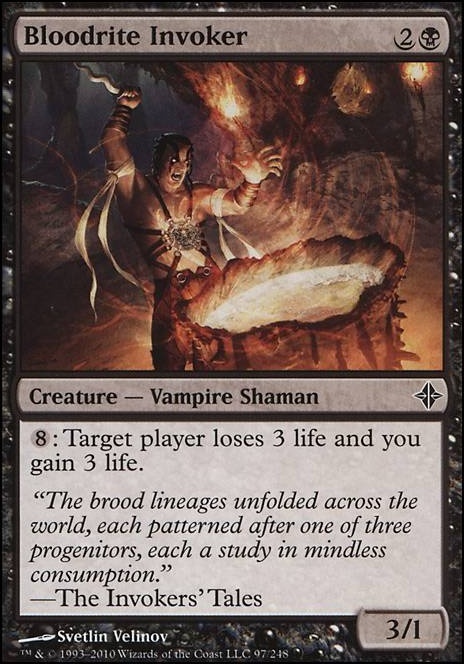 I might also run a couple green/black lands so I can run Bloodrite Invoker which can also win the turn it comes out with infinite manna. You're right though, the more I look at it, the more I realize that this is two different decks in one and that it detracts from the whole. Also include all blue spells from this deck. You can cut any of: Abyssal Gatekeeper, Bloodrite Invoker, Disciple of Tevesh Szat, Drownyard Explorers, Faerie Invaders, Fathom Seer, Gryff Vanguard, Gurmag Angler, Horror of the Dim, Jeskai Sage, Jhessian Zombies, Jwar Isle Avenger, Messenger Drake, Zombie Outlander, and Helm of the Ghastlord. Cut 2 basic lands and add more mana rocks like Commander's Sphere, Darksteel Ingot, Fellwar Stone, Prismatic Lens, Star Compass. Hey there, you requested feedback on the budget list so here are some suggestions. Bloodrite Invoker > Walking Ballista I like the invoker as a cute Necrotic Ooze outlet, but Balista adds significantly more value because it is also a Food Chain win condition. Urborg Elf > Arbor Elf Cheap Mana dorks are key here and if colors are a huge issue then something like Sylvan Caryatid seems better than the Elf. Mental Note > Thought Scour Strict upgrade if you want this effect because it allows you to mill other players after topdeck tutors. 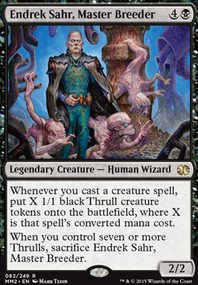 Shuko This is what allows you to mill out using Cephalid Illusionist, I'm not sure if this is supposed to be in the list already as the Illusionist seems useless without it. Alternatively, you could cut Illusionist entirely to add another Reanimation effect/target like Dance of the Dead or Nezahal, Primal Tide. 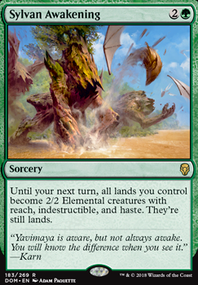 Obviously finding ways to upgrade the manabase and remove the ETB tapped lands will improve things but overall this looks like a good density of combos. The next step to upgrading will to fill out the tutor suite. Thank you both for the great advice concerning my tribal vampire deck. Based on both of your recommendations I made the following changes:I removed all non-vampire creatures and planeswalkers including Flamerush Rider, Combat Celebrant, Dukhara Scavenger, Chandra, Pyrogenius, Liliana, Death Wielder, Akroma, Angel of Fury, and Ammit Eternal. I did keep Ob Nixilis Reignited because of his first ability to draw cards and his third ability to deter opponents from drawing cards. 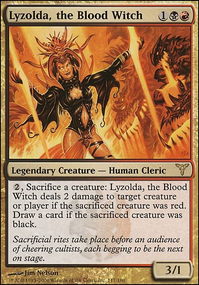 I added Diabolic Tutor, Olivia, Mobilized for War, Pawn of Ulamog, Bloodrite Invoker, Yahenni, Undying Partisan, Bloodmad Vampire, Bold Impaler, Voldaren Duelist, Call the Bloodline, Dark Impostor, and Diabolic Tutor as I had them already in my collection. I also added Asylum Visitor to help with the card drawing aspect. The other recommended cards are great and I will begin adding many of them to my collection / deck as soon as I can. Again, thank you both for taking the time and making the recommendations. They were super helpful. Drogskol Cavalry to turn Infinite mana into Infinite life and tokens. Bloodrite Invoker, Essence Depleter, Nightfire Giant, Orzhov Guildmage, Rix Maadi Guildmage, Scalding Devil, Scholar of Athreos, Soul of Shandalar, and Sunhome Guildmage also work. Needs some Buried Alive shenanigans. I'd recommend adding in the invokers as another mana sink with the combo, Valakut Invoker and Bloodrite Invoker. I'd recommend swapping out Tormenting Voice and Dismember, as they aren't that impactful. Wheel of Fortune if you can afford it would be good, and Reforge the Soul is a budget alternative.